Lexus has long been the solid but dull choice. 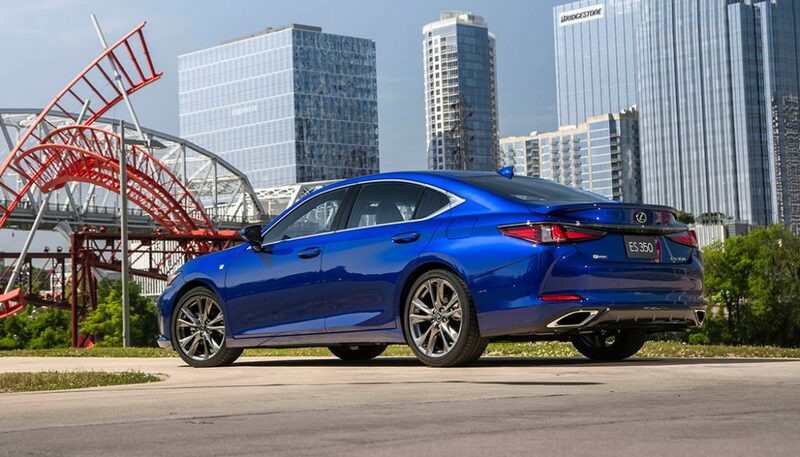 Has the Lexus ES 350 become a real sports sedan and managed to shed that in favor of F-Sport? There was a time, not all that long ago, where Lexus was looked at as Toyota’s answer to Buick. Or, in the case of the LS, Cadillac. A brand that made exceptionally well engineered and screwed together vehicles. That were as dull as they were good at their intended purposes. But things have changed. Even Buick doesn’t Buick the way it used to. So Lexus has started building vehicles with more excitement. More sportiness. And more great big spindle grille. The last one to get the makeover is the company’s best-selling car. So has the Lexus ES 350 become a real sports sedan and has the company managed to shed the boring in favour of F-Sport? The ES has been around longer than you might remember. The car actually debuted way back in 1989. Alongside the LS, it was the birth of Lexus. Back then, you could even get it with a manual transmission. If you wanted. That car lasted just a couple of years in the US. Replaced by the second and similar-look third-generation ES models that are probably more familiar to most. 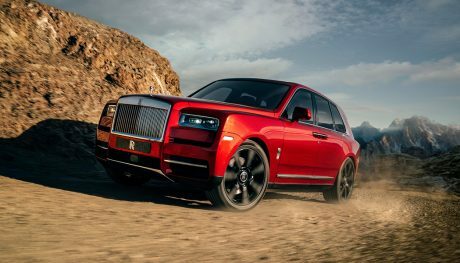 The latest car is actually the seventh generation of the model. Going on sale just months ahead of 30 years since the original arrived. It’s a completely redesigned car based on an all-new platform. It allows the Lexus ES 350 to grow 2.6-inches longer, 1.8-inches wider, but with a roofline 0.2-inches lower. The new dimensions give the car a more aggressive stance. One that shows that Lexus really is serious about making this a sports sedan. Up front, the styling changes seem subtle at first. But take in the whole shape and it looks almost nothing like the old car. The spindle grille is spindlier, though it remains a love it or hate it affair. The headlights get new L-shape marker lights with optional triple-beam LED lights that light the road as sharply as they look. 17-inch wheels are standard with an array of 18 and 19’s available. Powering that grille forward is a 3.5L V6. 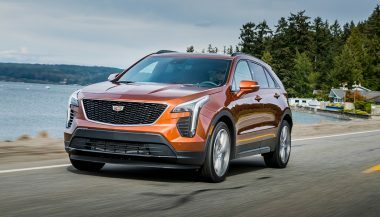 It’s been updated from the last model with changes that give it a higher redline, among other benefits. Power output is 302 hp, with 267 lb-ft. That’s 34 hp more than last year. The engine feels as powerful as the stats suggest. Moving this car along briskly. 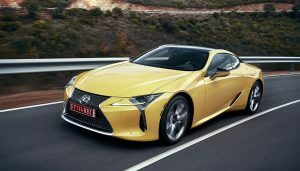 It’s Lexus-quiet at low revs, and while even at high RPM it’s not exactly loud, it does develop a pleasing snarl that won’t scare you into the next gear. That’s if the eight-speed auto will let you stay in gear. It’s quick to upshift regardless of drive mode, though it’s not as brisk to drop down gears. When it does decide to change down, though, which usually took a big stab of the throttle, the box can skip gears. So it can drop from a cruising eight to a passing four, for example, in one step. There are paddle shifters if you want to pick your own, but in my tester they weren’t exactly eager to follow my instructions. I ended up leaving them mostly alone as a result. The Lexus ES 350 is rated for 26 mpg combined, and even with snow tires, our test car hit that figure. Buyers looking for something a bit more frugal should look to the ES 300h hybrid instead. That one uses a new generation of the Lexus Hybrid Drive System, delivering 215 hp total and a 44 mpg combined rating. If the exterior design is too bold for you, then you might want to brace yourself before looking into the cabin. 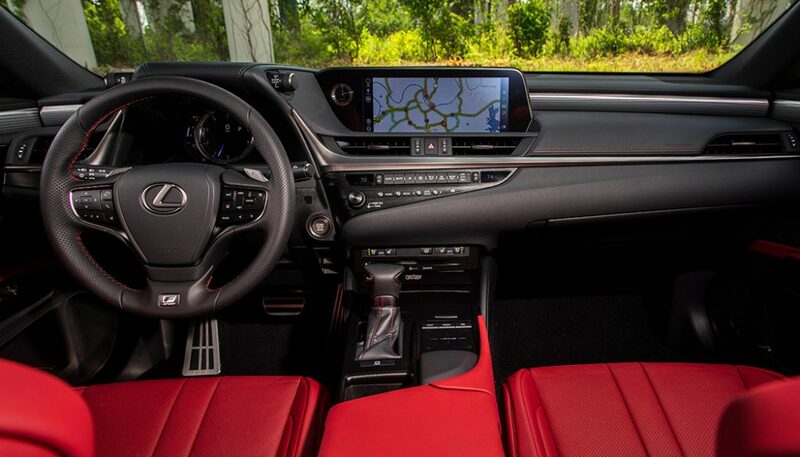 This is certainly a daring interior, even before the stunning bright red leather that Lexus offers. Taking from the design language that started with the LC coupe. Everything is angled toward the driver. Lexus has made some interesting choices here. Like the control dials for the stability control and driving modes sticking out of the top of the instrument binnacle. That instrument cluster, on the F-Sport trim cars, has a moving center element that can slide back and forth depending on drive mode and what information you want displayed. Making it slide side to side is a fun party trick. There’s also an available head-up display, but taller drivers or drivers who have their seating position high may never notice it as even adjusted upward it’s projected low on the glass. It fell below my line of sight and I didn’t realize it was there before taking a look at the spec sheet. Displaying audio information and navigation info is a 12.3-inch screen that uses the Lexus remote touch interface. It’s not the most intuitive system to use, even with the new vibration feedback function. Passenger space is generous, but very tall or large drivers or passengers may still feel cramped. Especially in cars with the panoramic sunroof. Lexus says that there is more headroom, but it comes by lowering the seat height. 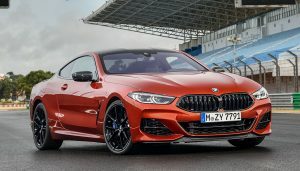 So it looks sporty outside, it looks sporty inside, and it has an engine with performance that should put a smile on your face. That leaves one quetion remaining. How does it drive? We drove an F-Sport package car. That’s definitely the sharper version, compared with the Luxury trim that takes you slightly on the softer side. Even with the adaptive variable suspension of our test car, the 40-series tires on 19-inch wheels make for a sharp ride over bumps, potholes, and other pavement imperfections. It’s not as sharp as some previous F-Sport models, but the ride is the tradeoff for the car’s resistance to body roll and ability to hang in quite well in corners. For the Lexus buyer of old, that ride might be a bit of a shock. For the buyer the Lexus ES 350 F-Sport’s looks target, it’s likely a compromise they’ll be more than happy to make. The steering is well weighted and if you don’t like it, you can tighten or loosen it in the different drive modes. 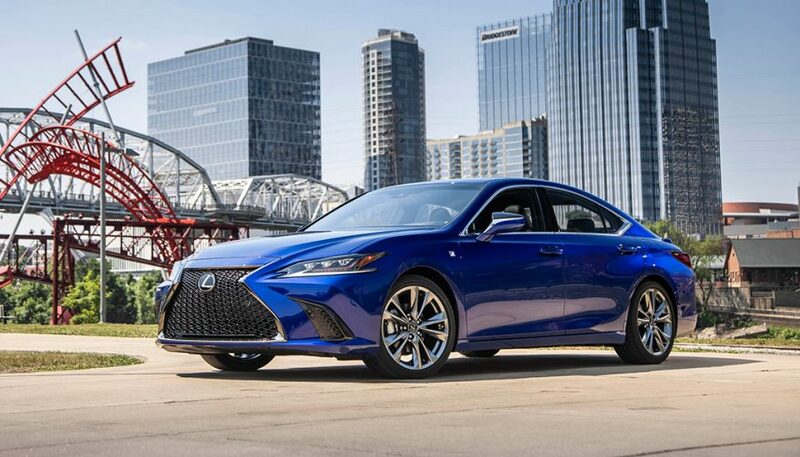 With the 2019 Lexus ES 350 F-Sport, the automaker has loaded up the car with fast looks, sharp edges, and that shockingly bold red interior. Fortunately, the powertrain and suspension them up. For buyers who want a big, front-drive sedan that’s going to remain enjoyable to drive, the ES is a strong proposition. 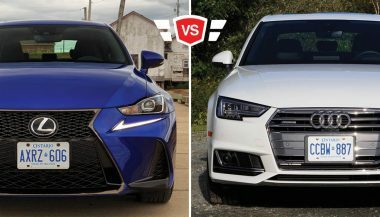 The Audi A4 vs Lexus IS350 luxury sports sedan comparison puts two solid, high-power entry level luxury cars next to each other. Let's have a look.